Back in November, the Tesco store in Burnham-on-Sea asked local schools to create a Christmas themed board that could be displayed in store. All the Children of Mark C of E first School contributed to a hand-print Christmas tree whilst the older children created digital art pictures. On February 3rd the school found out that they had produced the best board! 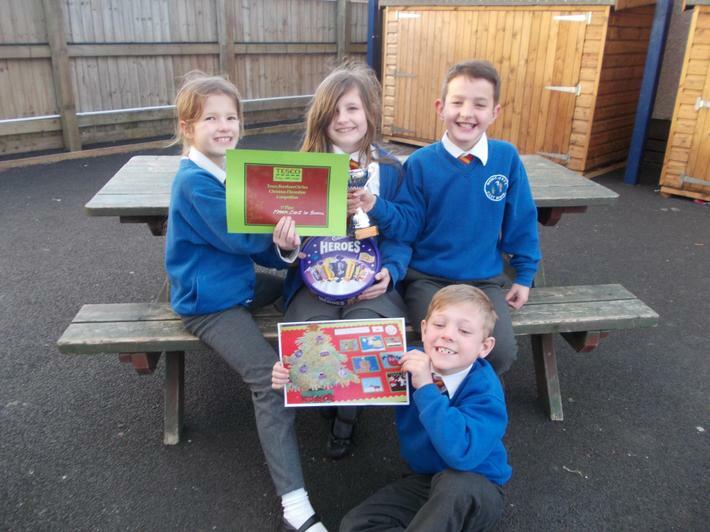 A trophy was presented to the school as well as chocolates for each class.